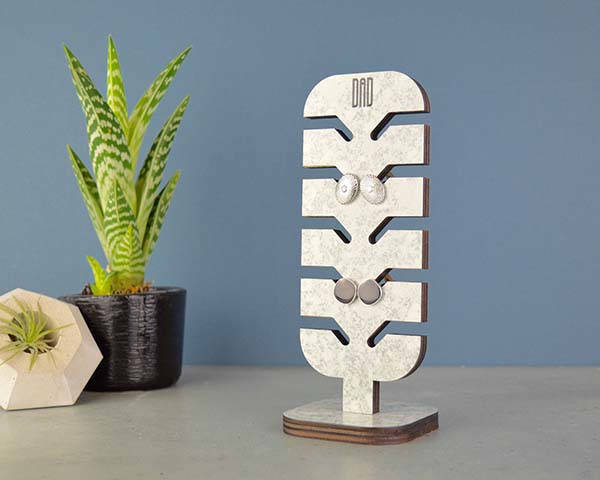 With a unique tree-inspired design the handmade personalized wooden cufflink holder keeps your favorite cufflinks organized for easy storage and access in style. Like the idea? Let’s continue checking. This is a well-designed and easy-to-use cufflink holder handmade by Not a Jewellery Box, a handicraft studio in British. The cufflink dock measures 8x 8 x 21.5cm. As we can see from the images, it looks like being inspired by a plant from desert, and the symmetrical design delivers simple and elegant aesthetic style, while using three different acrylic finishes on the base and front, it can meet more personal preferences. Meanwhile, the wooden body delivers a durable and eco-friendly construction. 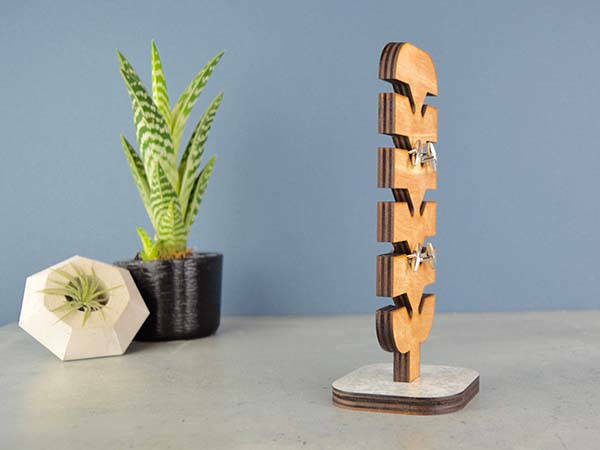 The wooden cufflink holder features 5 pairs of custom grooves in order to firmly keep your cufflinks organized in place for easy storage and access and display your unique personal style. Moreover, the thickened wooden base ensures the holder stably stands on your nightstand or desk. In addition, the stand is customizable by adding up to 7 characters for a personalized look. The handmade wooden cufflink holder is priced at $26.07 USD. If you’re interested, jump to Etsy (wood grain, black) for its more details.